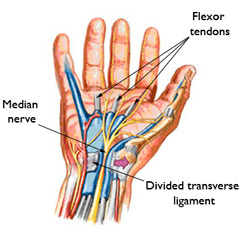 Unfortunately, I have recently been diagnosed with severe carpal tunnel syndrome, and as such, I am going to take a hiatus from blogging for an as-yet-undetermined period of time. My surgery is scheduled for just a few weeks from now, and after that I will doubtless need to refrain from unnecessary wrist movements. I will still be checking in occasionally, so feel free to comment or to contact me via email. Or, if you have any suggestions for things I can do that don't involve my dominant hand (movies to watch, etc. ), I'd welcome your input.